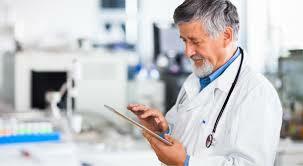 ICM is a software program designed for doctors, clinics and hospitals. A Mr Yehuda Ungar had the requisite skill set and experience to develop the program and signed a founders agreement with Yaakov Cashdi and others, the result of which was ICM Links Technologies and Information LTD, a company dedicated to creation of the ICM software for managing a medical database. Cashdi, the other founders and ICM LTD claim that Yehuda Ungar copied and marketed the program to Bircon LTD, infringing their rights and becoming enriched at their expense. The plaintiffs have sued for a declarative judgment that Ungar has infringed the founders agreement; an accounting regarding Bircon LTD’s use of the program and 750,000 Shekels compensation. The plaintiffs, Yaakov, Eli and Milik are shareholders of Ordan Computers and Data Systems which is a software developer that specializes in administrative software for clinics and medical chains. Yehuda Ungar developed his ICM system that is complimentary to Ordan’s program and Ungar approached Yaakov, Eli and Milik to create a business partnership for the continued development, marketing and sales of ICM in Israel and abroad. Yaakov, Eli and Milik agreed and ICM Links Technologies and Information LTD was established. Under the agreement, Ungar was to transfer all rights, source code and documentation to the company and to make his experience and medical file management available to the company. Yaakov, Eli and Milik were to dedicate their resources, knowledge and experience to the program and eventually to market it. The contract also included a non-complete clause for a minimum of three years and at least six months longer than any of the founders were serving as director, employee or shareholder in the company. The shares were divvied up and all share holders were to serve as directors for at least 24 months. In 2003, Yehuda Unger met with a Mr Tenne, the manager of a chain of clinics who agreed that the chain could serve as a beta site for the software. The plaintiffs thought that the beta testing was going well, but in March 2004, Unger informed them that Mr Tenne had given notice to stop the trials. The plaintiffs failed to raise investment capital and further development stopped, freezing the company. Yehuda Unger offered to resign and find alternative employment until a further opportunity would present itself. As a severage package Unger requested the right to compete, and to use ICM’s program whilst remaining a director and shareholder. Yaakov, Eli and Milik refused these conditions and contact between the parties was lost. In July 2008, Yaakov, Eli and Milik discovered that despite being an employee and shareholder, Unger had continued to develop the software together with Mr Tenne through Mr Tenne’s company Bircon LTD, which had marketed the product, earning money for both Unger and Tenne. 750,000 Shekels in lost earnings resulting from the breach of contract. Yehuda Unger is a systems analyst with 30 years of experience in managing software projects. Via his wholly owned company Irit Model, he has been working since 1995 at developing the ICM medical record database platform. Unger alleges that Yaakov, Eli and Milik approached him in 2002 and suggested that Ordan would market the ICM platform either as stand-alone software or together with their ‘Clinica’ program. Following this approach, a marketing and joint venture agreement was signed in July 2002. Six months later, Yaakov approached Yuhuda Unger and offered that Yaakov, Eli and Milik would purchase his shares via Ordan. Under the agreement, via Ordan, Yaakov, Eli and Milik would transfer 40,000 Shekels a month. However, they did not meet this, and in September 2003, they informed Unger that they did not have the resources to fund ICM. According to Unger, at Bircon, he programmed from scratch using public domain code and his personal knowledge, without using ICM, its source code or other resources. Unger even filed a counter-claim but subsequently retracted it. The subsequent case relied on testimony from the parties, software engineers of both Ordan and Bircon and Dr Matthew Golani as an expert witness to the court. Ordan marketed Clinica and Irit marketed an early version of ICM to the Eynayim chain of clinics that was under the management of a Dr Levinger. The sides realized that they each had complementary software products that were half a solution and they discussed working together. After negotiations, in July 2002, the parties signed a marketing agreement under which Ordan would market ICM. About six months later, at the beginning of 2003, the sides discussed Ordan purchasing ICM and a framework agreement was signed. Following this, Unger continued working on ICM, but as an employee of Ordan and the code was transferred to Ordan which allocated a programmer to the project and Milik undertook the marketing. In parallel with the ongoing development work, the parties negotiated a full contract, under which Unger was to be paid “consultancy fees” and a new company was to be set up. The contract was signed in July 2003. Judge Shwartz summarized the agreement and interpreted the lacuna. and the various parties’ actions in following signing of the agreement. ICM LTD was the right holder in the software. Unger is forbidden to make any use of the software without permission from ICM LTD.
Unger has to pay ICM LTD 100,000 Shekels statutory damages. Unger has to pay costs of 4500 Shekels and 25,000 Shekels legal fees. 47761-11-11 Cashdi et al. vs. Under et al., ruling by Judge Shwartz, 26 April 2015. To a large extent, the issue is factual rather than legal. Judge Shwartz has to rely on the agreement as signed to work out what the parties intended.